Carol Baldwin's Blog: ONE WEEK OF YOU- by Lisa Kline's new YA novel and a Giveaway! Congratulations to Jo Lynn Worden and Julian Daventry who won copies of DRIVE from last week's blog post. I am always honored when an author asks me to host their cover reveal. So, when Lisa Williams Kline asked if I was interested, of course I said yes! 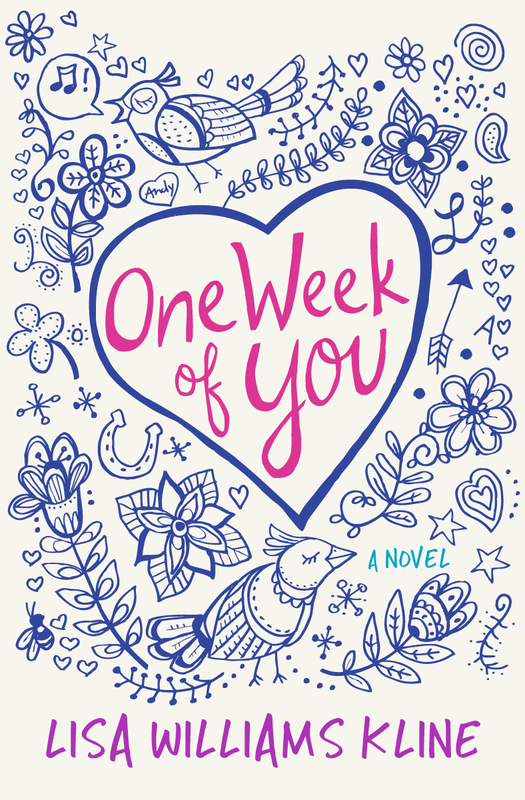 Her latest book, ONE WEEK OF YOU, (Blue Crow Publishing, February 2019) stars 15-year-old Lizzy who has to carry a flour baby for a week for her health class. During that time there are three prank fire drills and evacuations at school. In just one week, Lizzy realizes that adulthood brings complicated responsibilities. Here Lisa shares some of the backstory of the book. CAROL: What prompted the story idea? LISA: This story is fictionalized from two different real events. One year in high school my daughter had to carry a bag of flour for a week in her health class called a “flour baby.” I thought this was an interesting way to address human sexuality that had some comic potential. The second event took place several years later when there was a week in which there were three bomb threats in my other daughter’s high school. I was interested in the way the students handled that week. When I started writing this story, I thought, what if there were scary disruptions to the school schedule during the same week the kids had to carry the flour babies. I was partly interested in combining a somewhat comic story thread with one that wasn’t comic at all, and that has been one of the challenges in writing this story. It’s also a story of a first crush, and I based that on a combination of a couple of high school crushes of my own. And I have always been a forgetful person, and I incorporated that character flaw into my main character Lizzy. CAROL: Did you interview or research the book in anyway? If so, who did you talk to and how did you research it? LISA: Yes, for example, part of my story involves student hacking of the school computer system, and I interviewed an IT expert on how the students could do this hacking. I also interviewed a teacher about school evacuations. I also had some teens read it and give me feedback about the voice. CAROL: I understand that you put aside the manuscript for awhile and then came back to it. Had the story changed in your mind in the interim? If so, how? LISA: The story has evolved quite a bit over the time that I have been working on it. I put it away when I was working on the Sisters in All Seasons series. When I took it back out, I thought, hey, I think I can work on this again, there are some good moments here. Various editors and agents have all had suggestions for changes, and the story is quite a bit different than it was starting out. CAROL: What is the message you hope your readers will take away? LISA: I wasn’t really thinking about a message when I wrote this book. I just wanted to tell a story that I hoped would be engaging. Many of my books end up being coming of age stories, and I think this one is too. I guess if there’s any message it would be to be kind to everyone. CAROL: Can you share some of your path to publication for ONE WEEK of YOU? 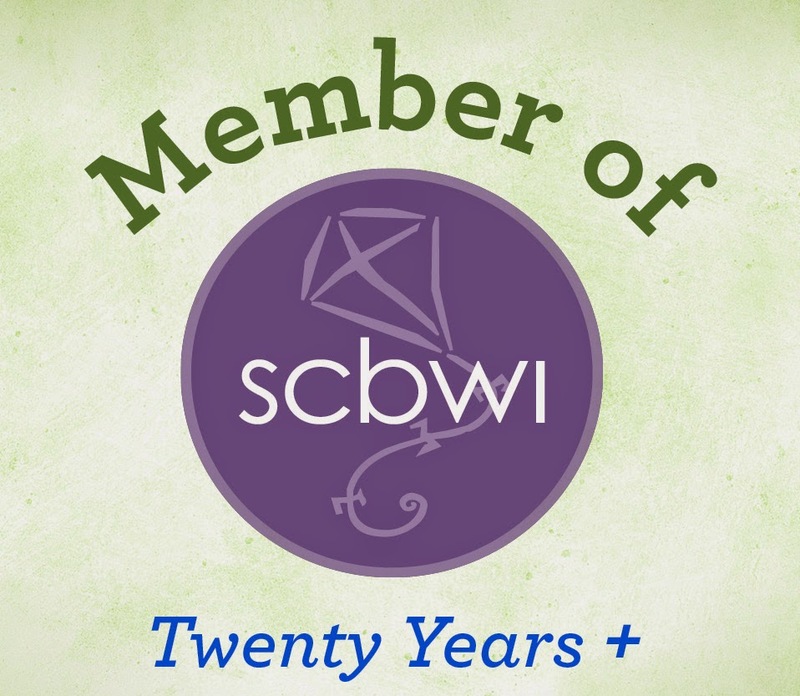 I queried Blue Crow Publishing and in a few weeks they asked for the manuscript. Lauren Faulkenberry wrote me about six weeks later, after she’d read it, with a revision request. In that revision, she wanted me to mostly ramp up the tension more and make a change to the ending. I worked on that revision for a little more than a month, sent it back, and after a few weeks she send me a publication offer. I was absolutely thrilled! Lauren and Katie at Blue Crow have been wonderful to work with. After I signed the contract, Lauren wrote me an editorial letter in which she asked for more changes, such as fleshing out the setting more and describing the characters more fully. I also did another round of revisions for Katie. Blue Crow is an indie press, and the personal attention has been fantastic. I really feel as though Lauren and Katie were one hundred percent behind me and my book. So far it’s been a great experience. CAROL: Thanks for sharing all of that, Lisa. It's great to hear of an indie press that's working hard for its authors! And now for the moment you've all been waiting for (unless you cheated and scrolled down)--here is the lovely cover for Lisa's new book! Leave your name (and email address if I don't have it) to enter the giveaway of an eARC for ONE WEEK OF YOU. Enter soon! Giveaway ends October 18! I've heard of these class assignments but this added twist makes it sound intriguing. Thanks for sharing. Thanks, Connie. You start the giveaway list! Congratulations, Lisa. Thank, Carol, for hosting this reveal and wonderful interview! I've already read the book so I don't need to be entered into the contest. Thanks for your comment, Krgp. I look forward to reading it too! Congratulations, Lisa! We are thrilled for you and Lizzy! And thank you, Carol, for such a great feature. :) No need to enter me in the contest, but I know you're going to make readers very happy with this one! Congrats to Lisa. One of my daughters carried a flour baby. It's a great idea. I love the cover and the concept. I will be watching for this one. Thanks for the post. What a fabulous blog about Lisa's new upcoming book! The levels and layering are so intriguing. I can't wait to read it. I'm going to buy one for myself, but put my name on the Giveaway, too. I have lots of young (and not so young) people that would love to read this story and I can pass a copy too. Congratulations Carol on a great review, and Congrats to Lisa, too, on a very inviting story. Thanks, Gilda, for you comment. You're in the giveaway! Thanks for featuring our mutual good friend, Lisa! And Lisa, congratulations on this book. It sounds intriguing and I can't wait to read it! Thanks, Linda. Your name is in the hat! When my own children were going to school, I never worried about “scary” incidents. This will be an interesting read. Now with grandchildren, I worry about “scary” things in school often. Please enter my name, Carol. I read an ARC provided by the publisher -- what a great read. Lisa has a wonderful ear, and the story immediately had me. Congrats! Oh yay! Lisa has another book for young people. And it sounds like a heap of fun - although I can imagine the serious thread too. Please enter me! Lisa, Congratulations! Can't wait to read. Love your intriguing title and fanciful cover. You're both in-- Joyce and Barbara. thanks for stopping by. So excited to read this book! YAYAYA LISA! Loved your keynote speech two years ago. You rock, lady! Thanks to all of you for your supportive comments about the cover and the book! I appreciate every one. I am thrilled with the cover Blue Crow designed for me. 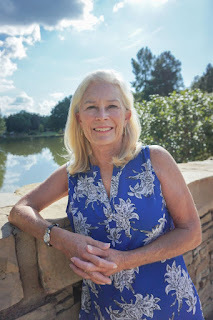 And thanks to you, Carol, for the fantastic cover reveal and interview. You are a pro! This was a great interview and I had always wondered if published authors were asked to make revisions as most first time authors are asked to do. So informative and can't wait to read. Glad you enjoyed the review, Deborah. And Lisa, it’s fun to share brand new books! 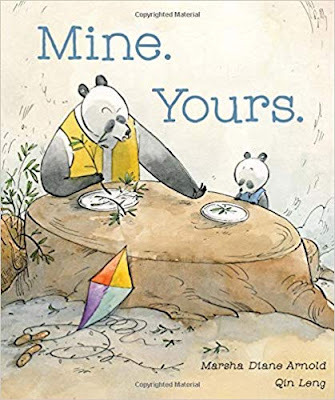 Such a happy cover and fine review, Carol -:D! Thanks, Cat, for your comment. Too late for this giveaway--but stay tuned. I hope to be giving away the book next year! What a pretty cover!!! I loved hearing about the flour baby and how this book came to be. Please throw my name into the hat. DRIVE: A Review and Two Giveaways!